My daughter recently went on an overseas school exchange. 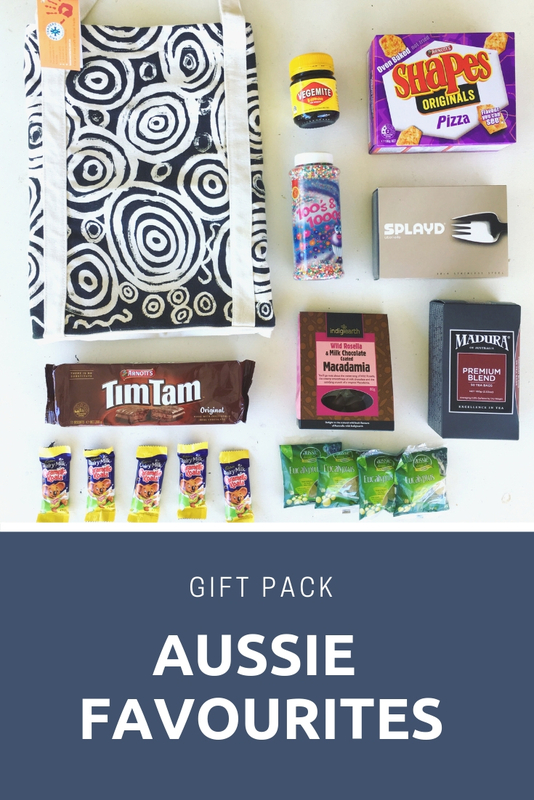 I put together a thank you pack for her hosts with some of our Aussie favourites. 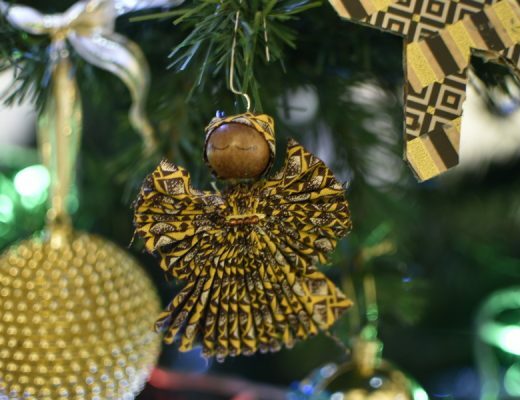 I avoid buying indigenous souvenirs from dollar/souvenir shops because they are often fake. Instead, I look for art from legitimate Aboriginal artists. The bag I purchased is from Oxfam and by Nelly Patterson. Vegemite toast — yaasss. 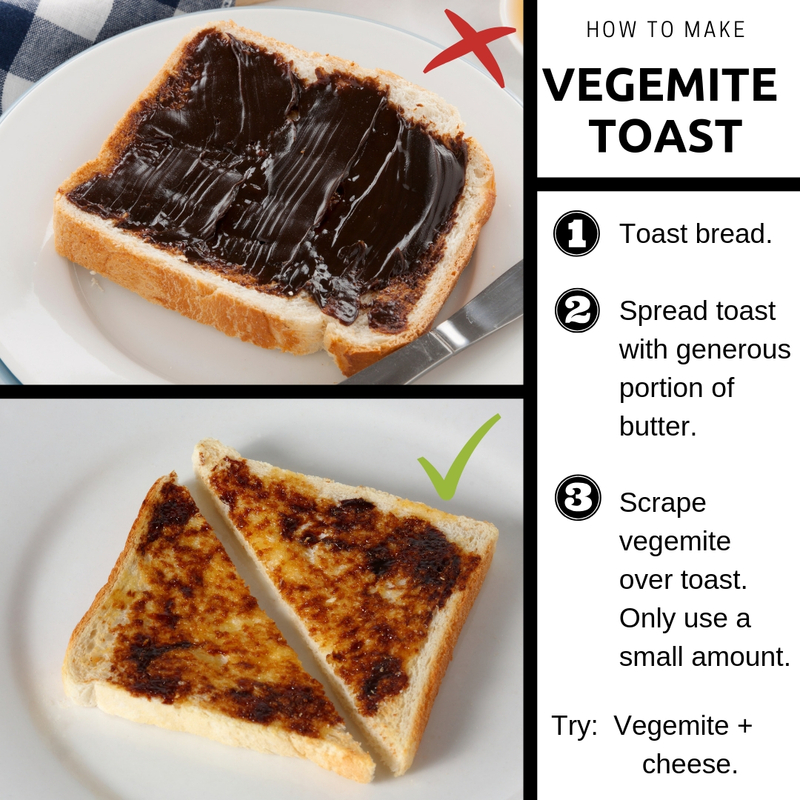 It is often a good idea to include HOW to eat vegemite too (you can print the instructions below if useful — just click here). I grabbed a jar of 100s & 1000s so my daughter could make her host family fairy bread. 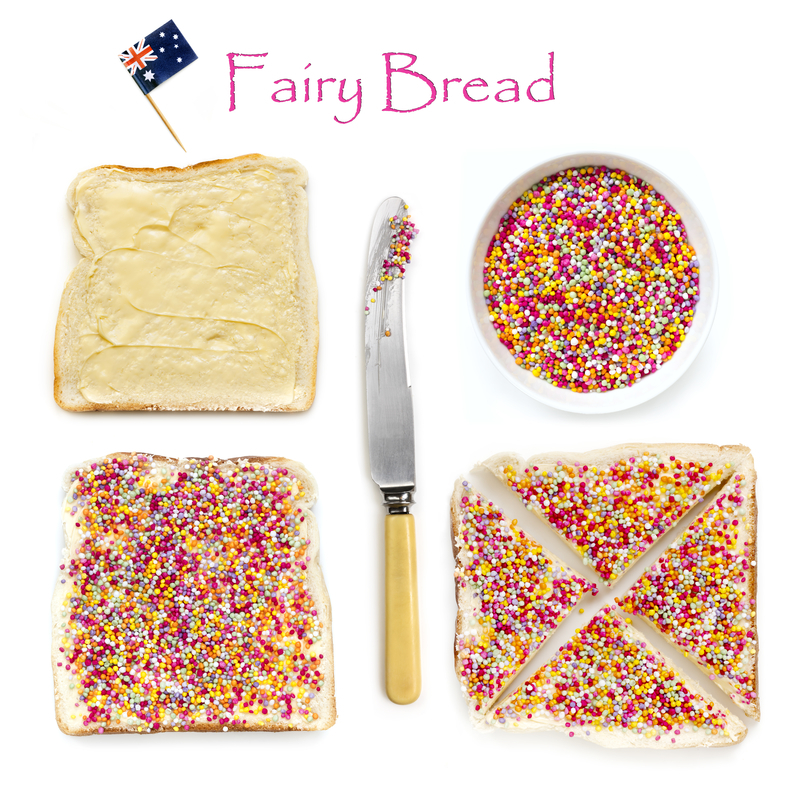 If you are interested in the history of fairy bread, you can read about it here. Pioneers of one the earliest sustainable tea plantations in Australia, Michael and Norma Grant-Cook laid Madura Tea’s foundation back in 1978 in the fertile farmlands of Northern New South Wales. Fast forward 40 years and the tea estate is now owned by four local Australian families who are fuelled by a vision to create the purest tea blends, whilst nurturing the ecosystem that sustains them, underpinned by a respect for environment and community. Splayd utensils (after the verb to splay – to slant, slope or spread outwards) were invented in Australia by Bill McArthur of Potts Point, New South Wales in the late 1940’s. Splayd utensils, made from 18/8 stainless steel, have sold over 5 million pieces worldwide since their introduction, becoming an Australian icon and a household name. There is something fundamentally Aussie about the fork/spoon/knife combo — perfect for BBQs and relaxed summer afternoons. They make for a lovely gift. 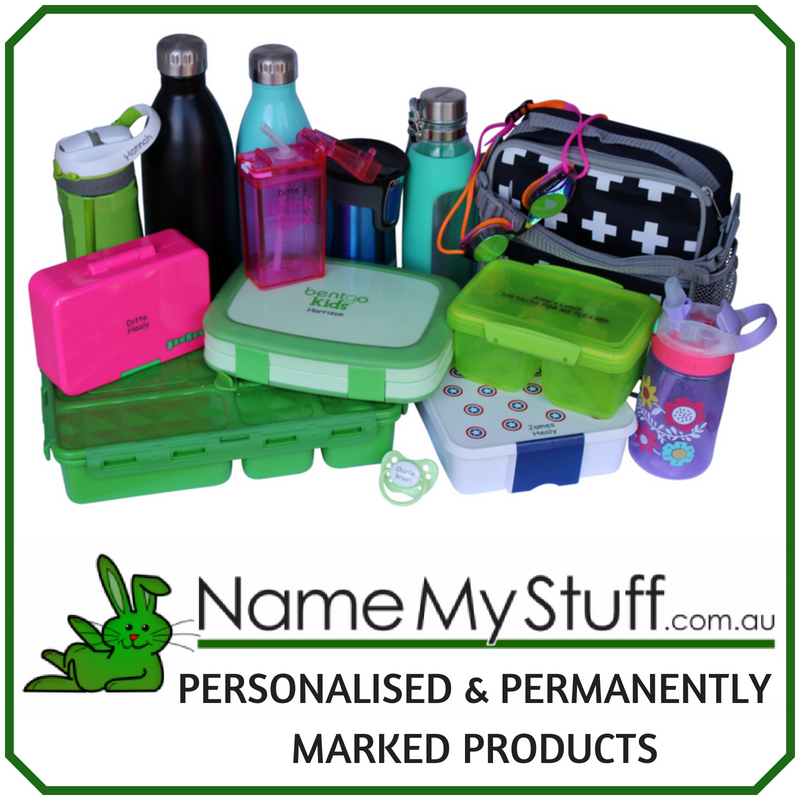 I purchased mine from David Jones, and you can also purchase them online from Splayd or other selected home stores. These take me back to my childhood! I was explaining to my kids that on the rare occasion I would get tuck shop money, my mother would give me 50 cents and I could get a whopping 50 of these eucalyptus lollies — for 1 cent each! I got these Aussie Drops packs from Woolies. 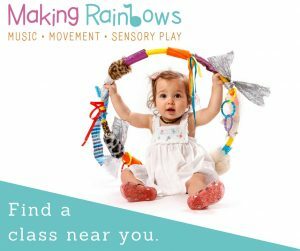 The menthol and eucalyptus oil is added by hand, and the lollies are made from at least 98% Australian ingredients. I grabbed a share pack from Woolies. Check out this ad from the 90s! Another one of those childhood classics. My favourite as a child were Pizza flavoured, followed closely by Barbecue, but my kids like the Chicken Crimpy and Cheese & Bacon varieties the best. The biscuits were first produced in Victoria in the 1950s by Arnott’s. The biscuits were originally made in the shape of potato chips, however in 1974, bakers refined the cut into a flat form to ensure dough was not wasted. If there was ever a doubt this biscuits are an Aussie classic, they were put to rest when Arnott’s attempted to change the recipe into a healthier version. 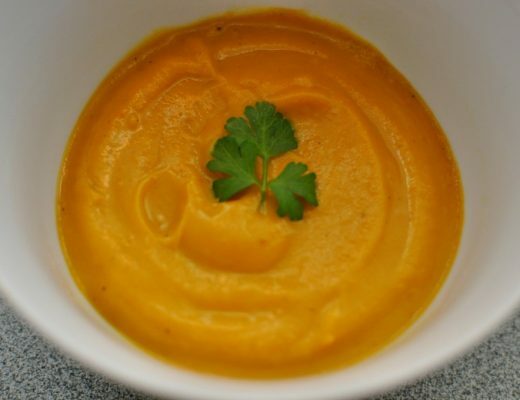 The public outcry saw the company retreat to the original recipe we all know and love. 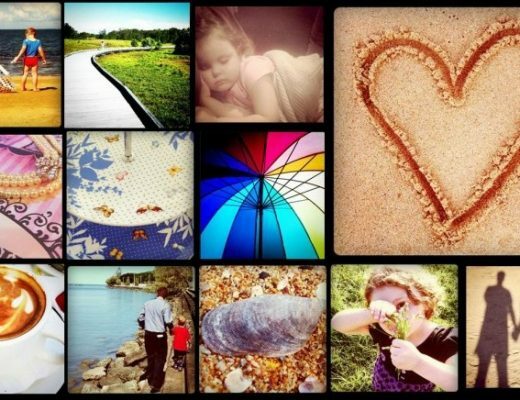 Indigiearth is an award-winning innovator of modern Australian native products. I picked up a packet of Wild Rosella & Milk Chocolate Coated Macadamias from Oxfam.